A strong plastic adjusting clamp for maximum tension. The bolt operated by the wing nut and the tightening nut are metal. 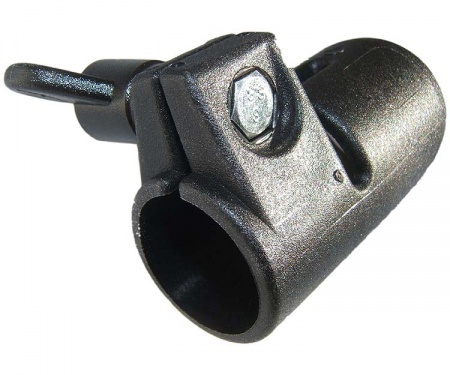 The adjusting clamp is easy to use; simply adjust the clamp with the wing nut screw for maximum tension. 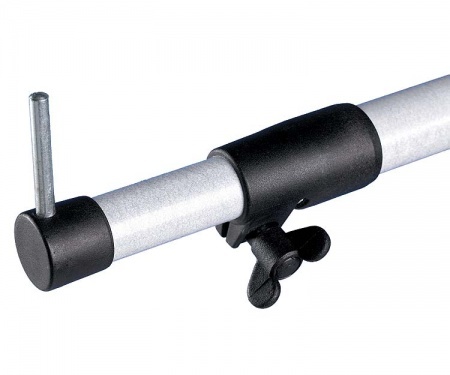 The clamp is designed to take an awning or tent pole with an overall diameter of 25.5mm. ( Note: 25.4mm is an inch, so this is almost exactly an inch ). 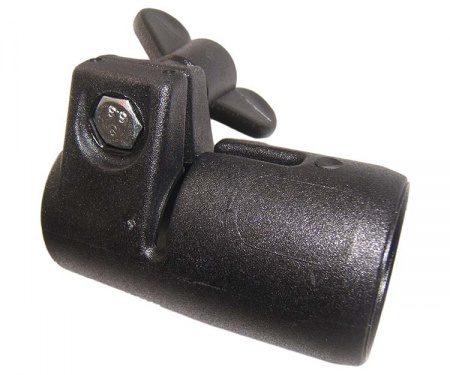 This clamp is typically used on fibreglass poles but can be used on other pole types if needed. This adjusting clamp is part of the Dorema Fibre Tech Fibreglass Frame System. 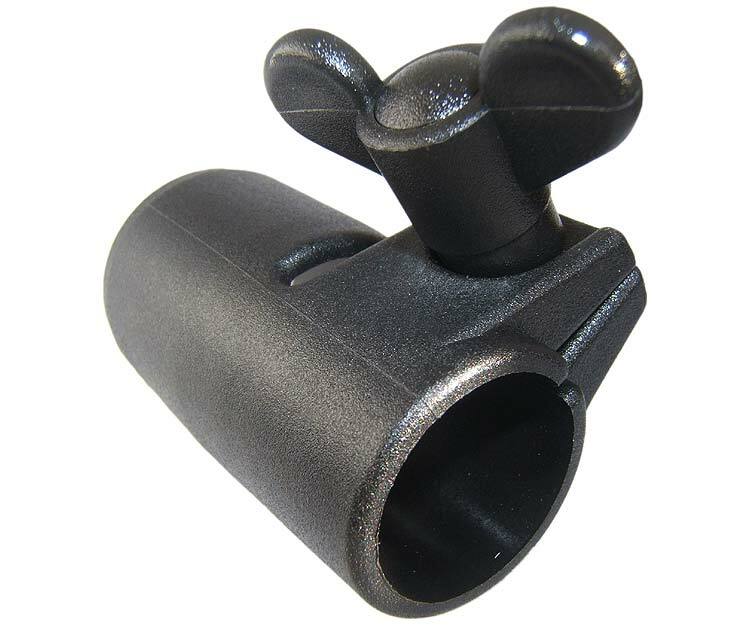 Materials: Strong black plastic body with metal bolt and nut.